Fordhall Organic Farm, based in North Shropshire, England has been chemical free for over 65 years. 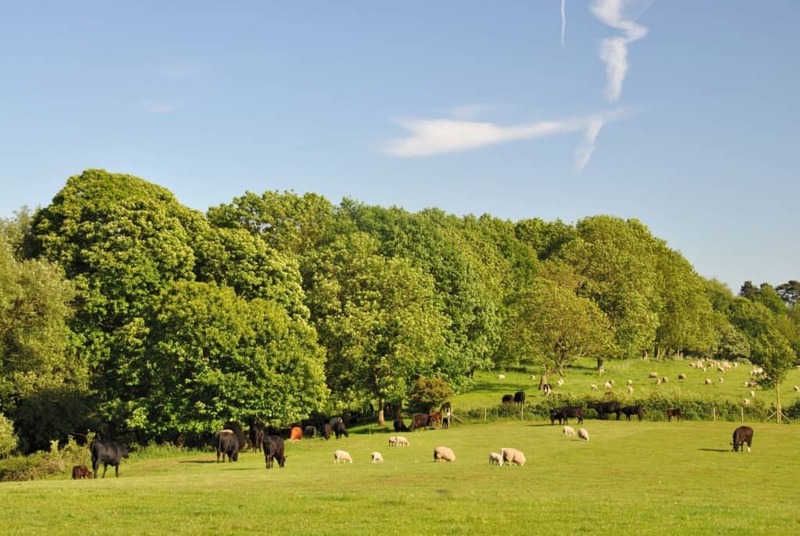 We rear cattle, sheep and pigs on an outdoor extensive grazing system and have been in community-ownership since 2006 (click here to read more). By securing Fordhall Farm, the Fordhall Community Land Initiative (FCLI) – the community landlord – is committed to building a sustainable future whilst guaranteeing that farming will be an affordable way of life for generations to come. In the ever-demanding consumer economy that we live in today, traditional farming is struggling to be a profitable profession. It is challenging for small farmers like Fordhall Farm, to compete with large-scale producers and knockback prices. Fordhall can now ensure that the small farmer will be given an opportunity to maintain and capitalise on family traditions; providing a model for other at risk farms across the country. Fordhall is also one of the longest running natural organic farms in England. Many of the initial supporters were personal friends of the late Arthur Hollins and recognised his ground-breaking research into organic farming. People are still supporting the Fordhall Initiative because they can appreciate the work and determination of those involved. It is this combination of history, environmental qualities and undeterred motivation which has made Fordhall Farm a treasure to visit. Fordhall Farm is now tenanted and run by Arthur’s son, Ben Hollins. He has been granted a 100 year tenancy from the Fordhall Community Land Initiative (the charitable society which owns the farm) and its 8000 strong membership. He manages the 140acres at Fordhall, which includes wetlands, woodlands, streams, the River Tern and our grasslands, rearing cattle, sheep and pigs using his father’s Foggage Farming system. Everything Ben rears at Fordhall is sold direct to the public through the farm shop, online shop, farmers’ markets or outside catering. There are so many different angles of interest associated with Fordhall Farm that it is difficult to find a reason not to support us. Wildlife – Food – Farming – Sustainability – Education – Health – Our Children’s Future… These are the reasons we do it!